Ten years ago, the day was like this one, but even brighter and clearer. As I watch the commemorations with one eye, the other eye is on the late summer garden. 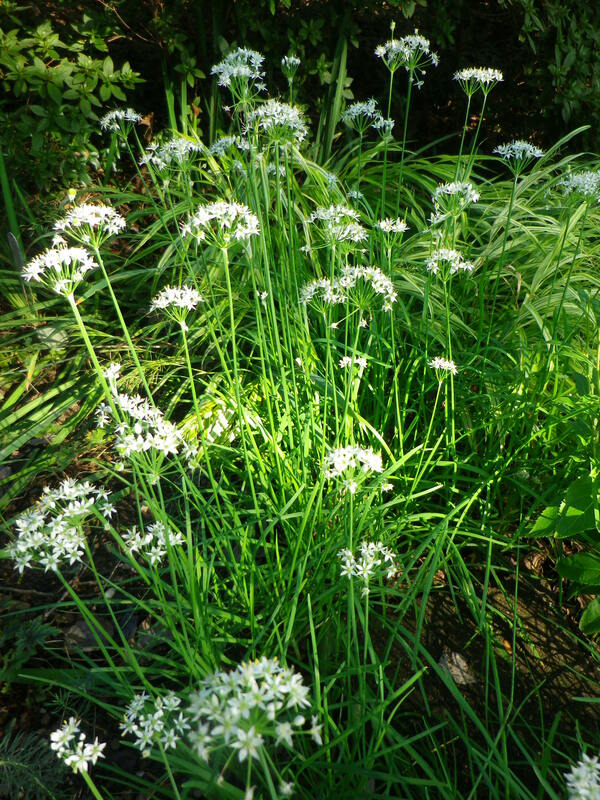 Labor Day weekend marks the appearance of garlic chives and naked ladies (aka British soldiers). Along with huge spiderwebs, these are the markers of the end of summer, even though we’ll have another good six weeks or more before frost. 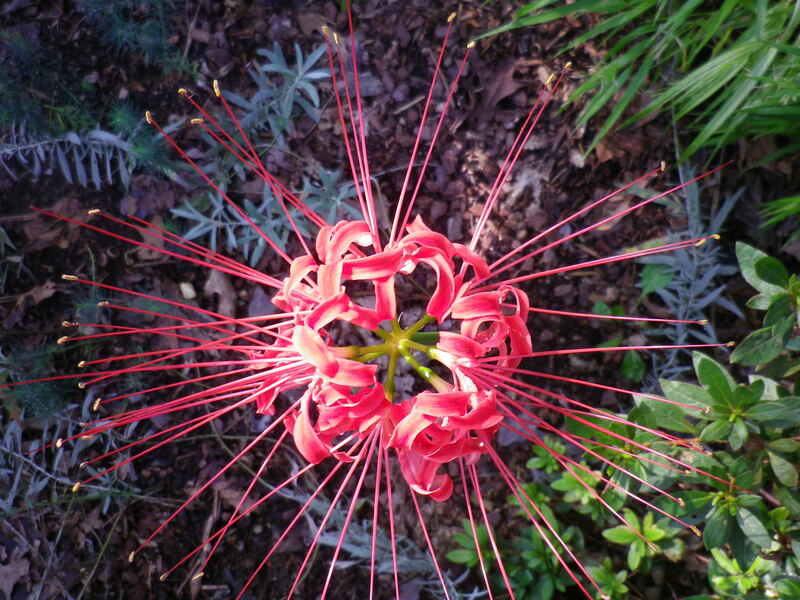 Also in bloom are perfectly ordinary flowers that are actually extraordinary. 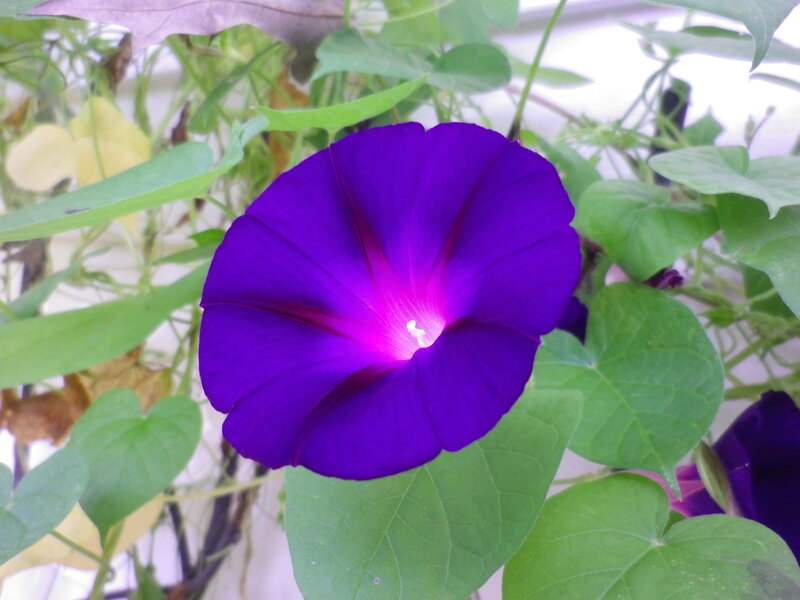 What could be more common than a morning glory? 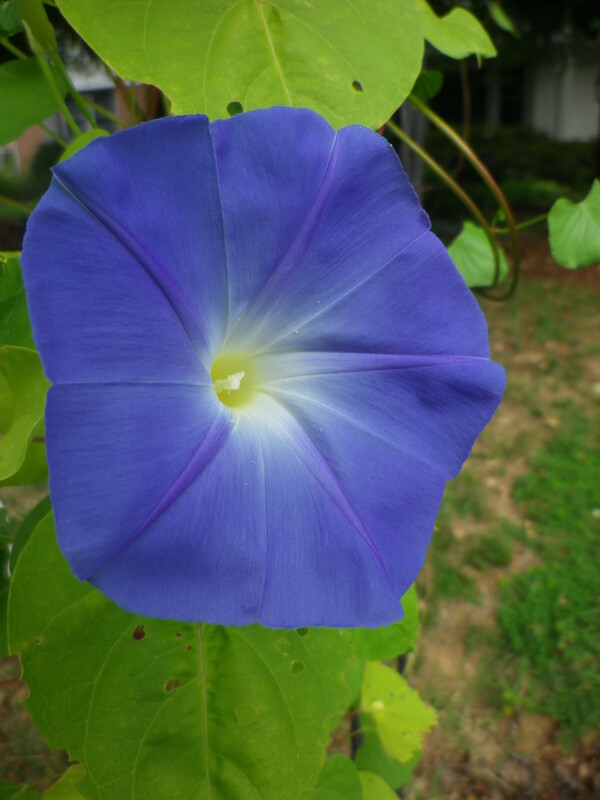 But look at this silky, folded bloom. This one is one of the volunteers that always pops up against the wall of the shed. 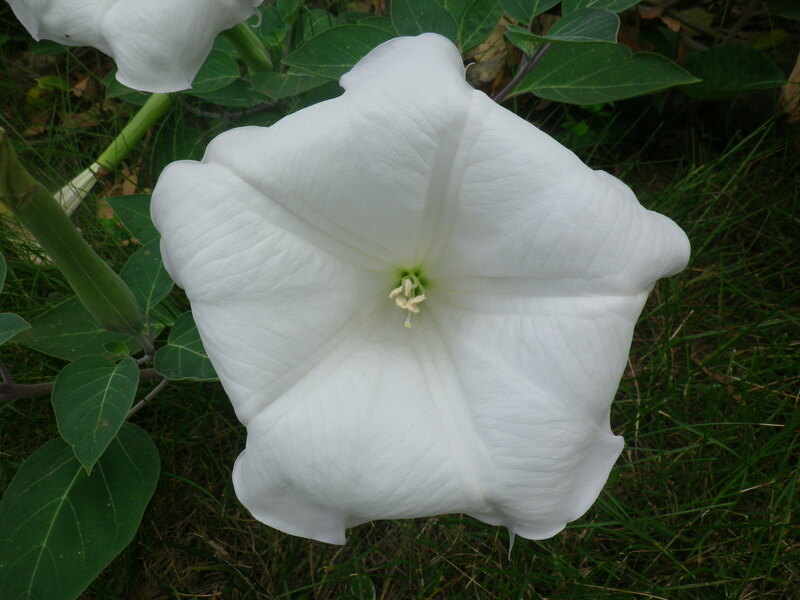 This datura is equally elegant. 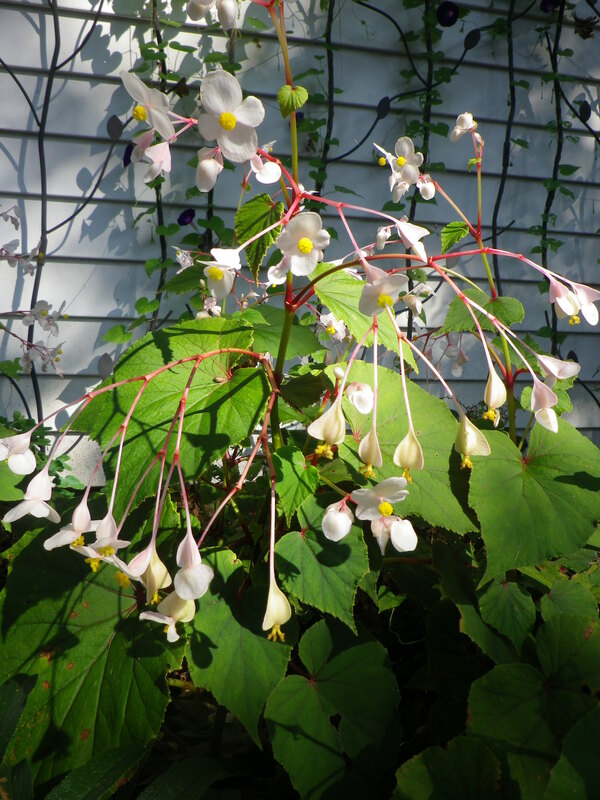 Begonia grandis comes into its own in September. Somehow I think they are not as prolific this year, and the Heronswood variety has vanished, but the pink and white that are left are dripping with blooms. 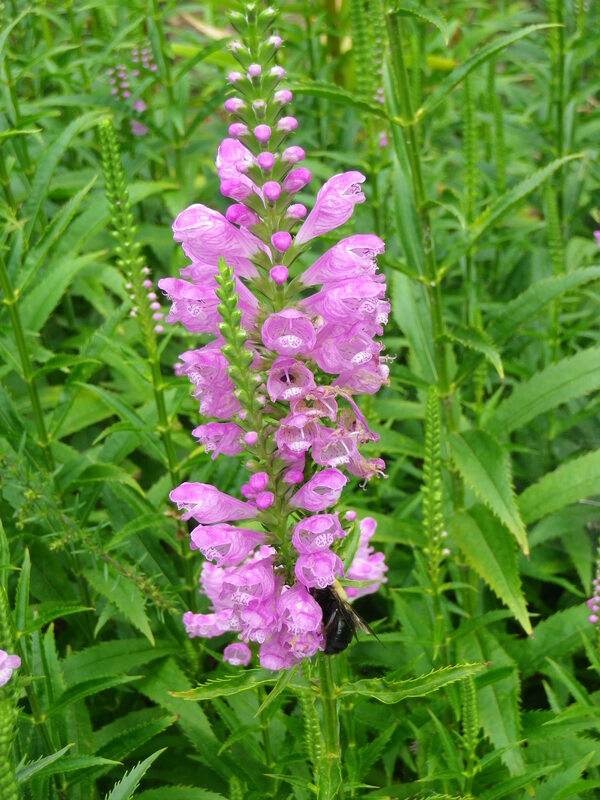 Meanwhile, the physostegia (obedient plant, false dragonhead) is so full of bees that it’s almost dangerous to walk by. 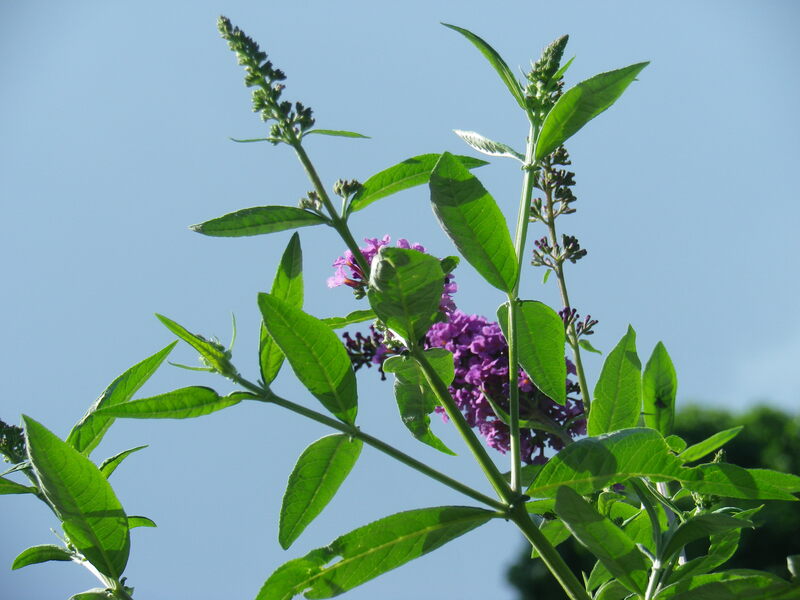 It makes a nice echo with the butterfly bush above, whose days, I think, are numbered. 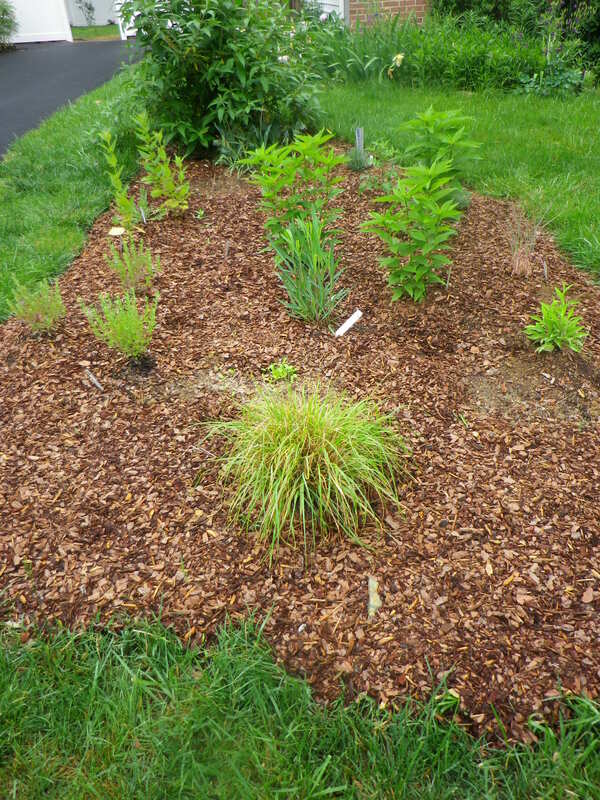 It is indeed attracting lots of butterflies, but its structure is weedy and it’s impinging on my neighbor’s driveway (their pride and joy since it was resurfaced earlier this summer). But it’s not all gas and gaiters. 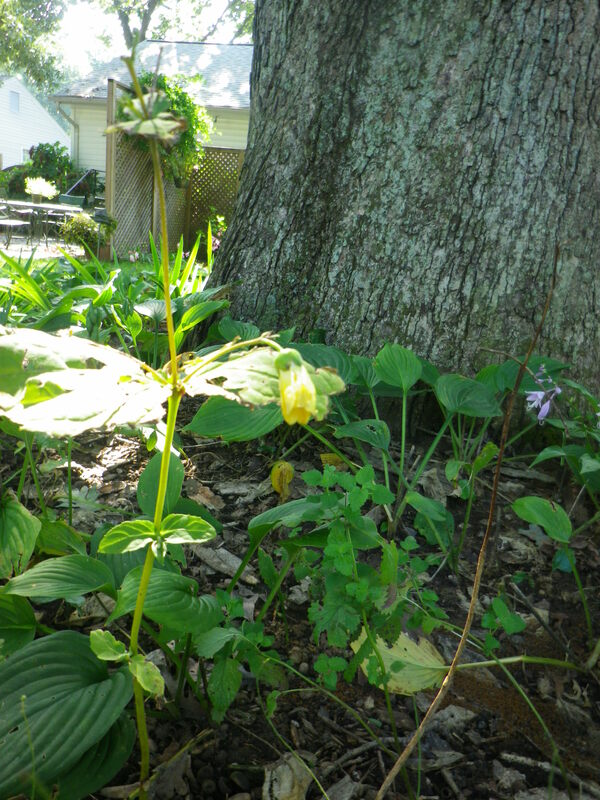 I have two kirengeshomas, notable for their shade tolerance, their maple-like leaves, and their yellow blooms late in the season. However, I have found that our typical mid-summer drought is too much for them. They get tiny and etiolated and have never successfully bloomed. This year, perhaps because of Irene and Lee, I have blossoms for the first time. But they are still pretty pathetic. 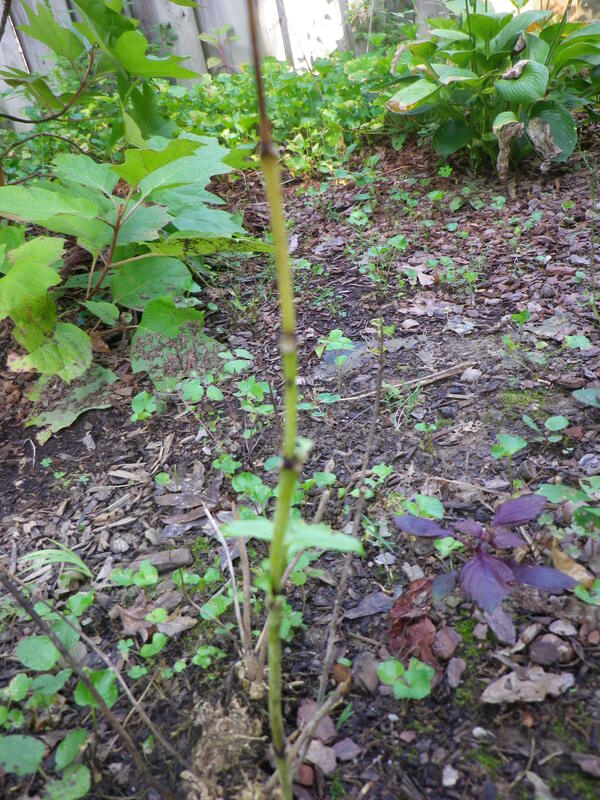 The newer one in the corner garden is nothing but a stick! 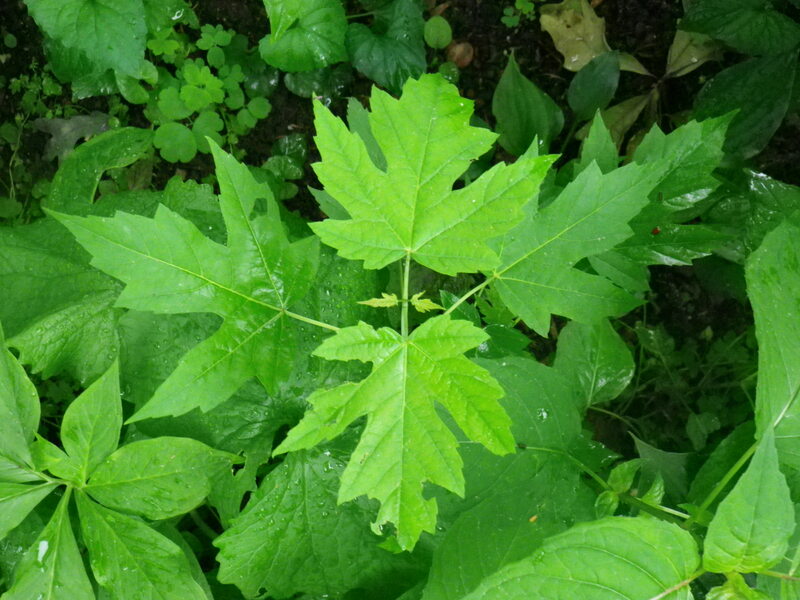 Here’s a look at kirengeshoma in better times (May), so you can see why I wanted it. But I think I’ve been cured of these beautiful plants and can appreciate the “doers” above that survive heat, humidity and drought to make it into September. It’s planted out with everything I had planned, and then a few more. The latest additions are a few plants from WFF: a tiny little Asclepias incarnata Cinderella that is barely worth the price (though I have high hopes for its future); an Achillea filipendulina Gold Plate that should add some dancing yellow color near the edge of the border; and an Echinops ritro ruthenicus (known to most of us as globe thistle) with its jagged leaves and architectural height. Here’s someone else’s picture of it. Here’s a look a the border today: still pretty puny but everything is growing and thriving. 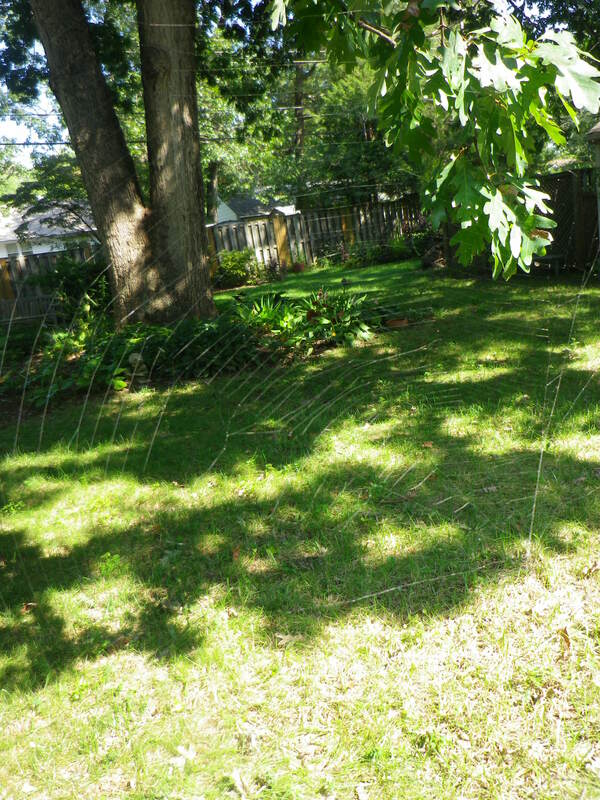 The grass at the bottom of the picture is pennisetum (fountain grass). 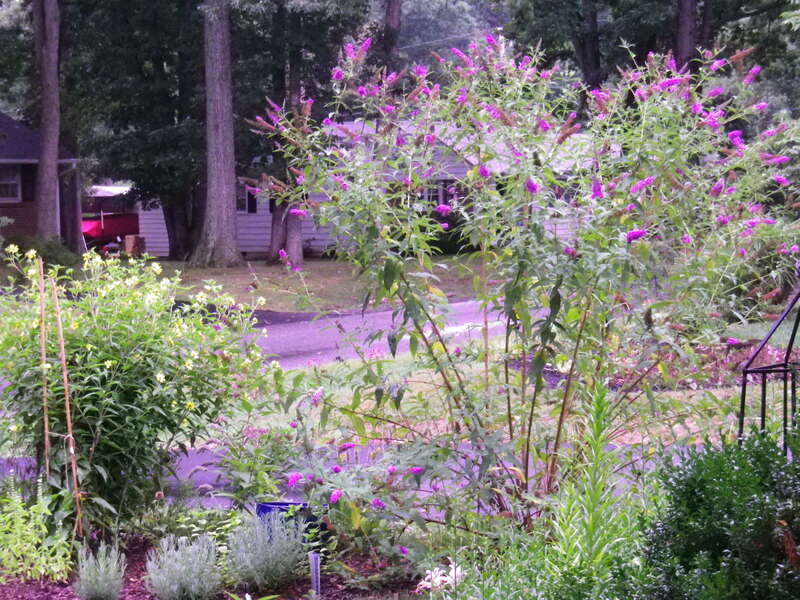 The butterfly bush from my neighbor anchors the top. 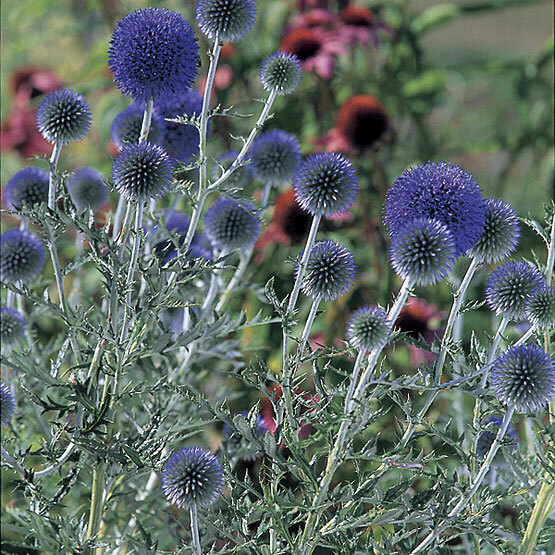 I still have high hopes for a late summer mass of tall flowering plants in shades of blue, yellow and pink.